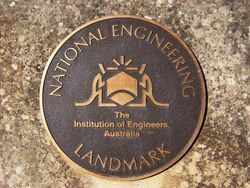 A plaque recognises the Great North Road as an National Engineering Landmark. 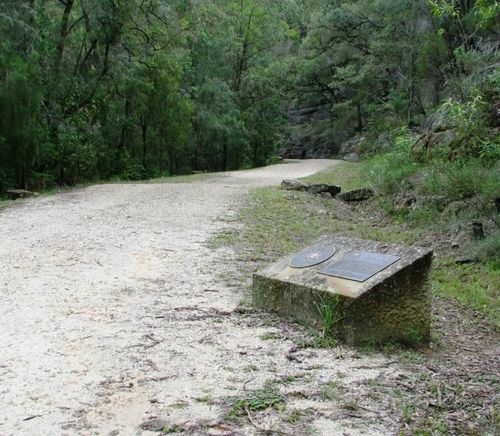 This road was built between 1826 and 1836 to connect early Sydney to the rapidly developing Hunter Valley region. It is over 240 kilometres long and was constructed by convict labour under the supervision of colonial engineers. Lieutenant Percy Simpson was responsible for the Devines Hill section. He brought to the construction knowledge of the techniques emerging from the road building revolution in Europe at the time and adapted them to the harsh environment of the new colony. 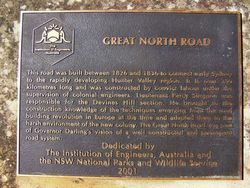 The Great North Road was part of Governor Darling`s vision of a well constructed and permanent road system.